Any vessels taking part in the ongoing war games in the Persian Gulf should stay well away from Iranian waters and avoid provocations, the Islamic Revolution Guards Corps (IRGC) Navy has warned. The IRGC statement added that the Guard is ready to react to any behavior they perceive as threats. “The Islamic Revolutionary Guard Corps Navy is at full readiness to ensure stability in the Persian Gulf and the Strait of Hormuz, and any effort to disturb peace and security will be dealt with in an instant,” it said. Saudi Arabia launched live-fire exercises involving warships, speedboats, marines, and special forces in the Persian Gulf and Strait of Hormuz on Tuesday. According to Rear Admiral Al-Qahtani, the exercises are intended to “raise the combat readiness and professional performance” of the naval forces in order to protect “the marine interests of the Kingdom of Saudi Arabia against any possible aggression,” as quoted by the Saudi Press Agency. 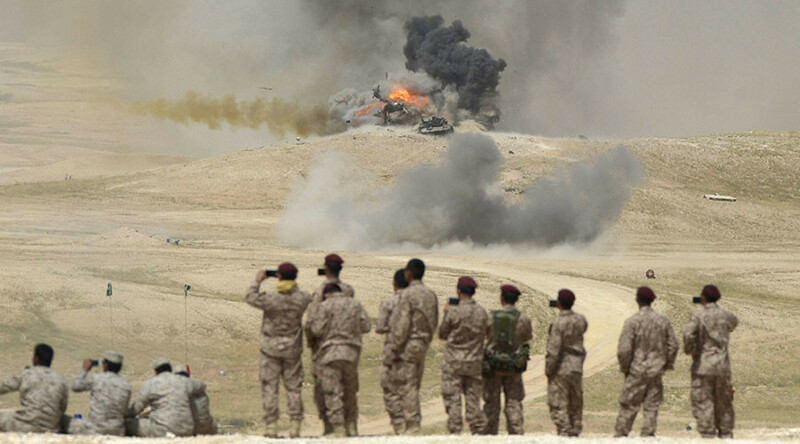 The drills, known as Gulf Shield 1, come during a period of renewed tension between the Sunni kingdom and its rival, Shia-majority Iran, which lies on the opposite side of the Gulf. The regional powers are at odds over conflicts in Yemen and Syria, backing rival Sunni and Shiite factions and accusing one another of supporting terrorism. The two countries broke off diplomatic relations in January after the Saudi embassy in Tehran was ransacked in reaction to the Saudi’s execution of Shiite cleric Nimr al-Nimr. The Strait of Hormuz, where some of the exercises are taking place, is one of the world’s most important oil shipping routes. 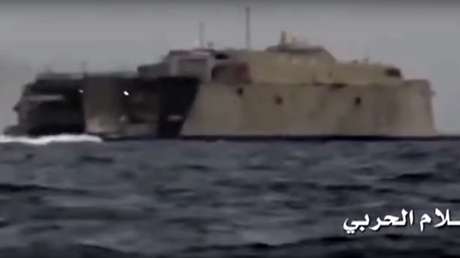 In August, US officials accused IRGC boats of “harassing” one of their warships as it was sailing nearby. The United States is an ally of Riyadh and maintains a military presence in the region.